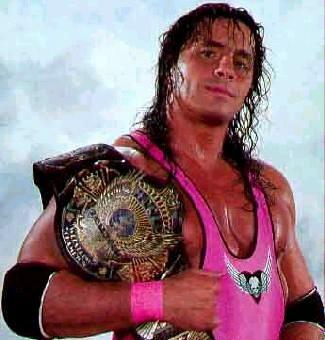 Bret Hart dropped the Intercontinental title at Summerslam 1992 and would win his first WWF Title just two months later against Ric Flair. However, that reign would almost appear to be a fluke, as he was only holding the title as a placeholder until Vince likely handpicked someone else to take his spot. 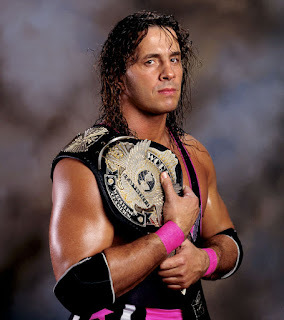 Now this may seem far fetched to you, but let's take a look at the road back to the WWF Title for Bret after he lost the first time. Now, the first big title defense in his first reign was against Shawn Michaels at Survivor Series 1992. That match was a classic without a doubt, and then Bret would have a short feud with Razor Ramon for the WWF Title at the 1993 Royal Rumble. 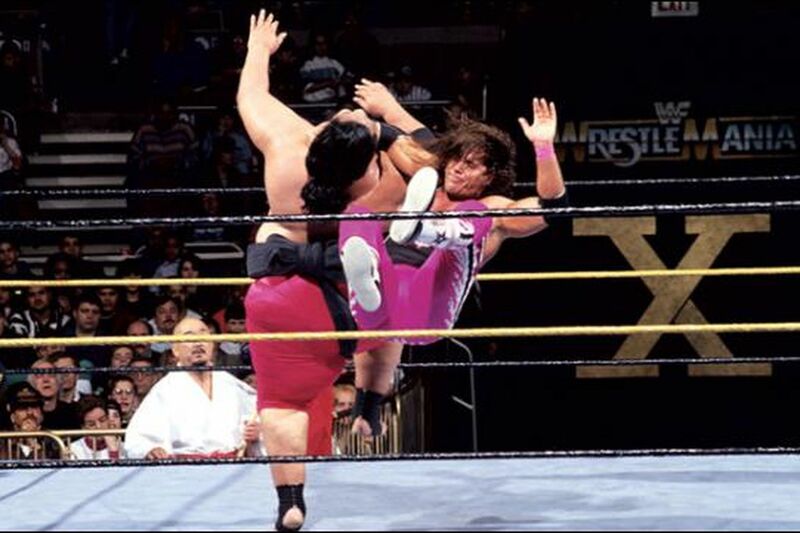 Bret would be on a path to fight Yokozuna at Wrestlemania and this is where things get a bit tricky some, as Yokozuna won the title from Bret, but the title ended up on Hulk Hogan at the end of the night at Wrestlemania 9. Confused? Sure, I was too. Hulk Hogan had come back and instead of putting over Bret, he stole the spotlight from Bret and took the title and a big moment from Bret. You'd think Bret would get a rematch for the belt against Hogan right? No, instead Yokozuna got his rematch at the King of the Ring in 1993, and he won the title. What did Bret get at that same event? 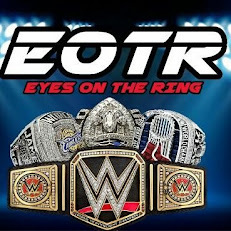 He got to win the King of the Ring, which didn't come with a WWF Title shot, just bragging rights. 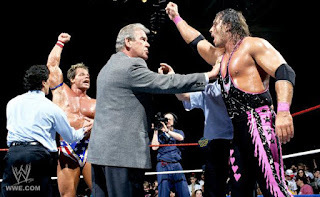 Bret would get trapped in a pointless feud with Jerry Lawler in the mid card, with him eventually getting a victory over Lawler, but for Bret to have just been the WWF Champ and the top face in WWF, a feud with Lawler seemed to be slightly beneath Bret in a way. Bret and Lawler would continue their feud for some time. Now, you might be asking, what was going on with the WWF Title at the time? Well, a little experiment called the Lex Express. Yes, Lex Luger was subpar in the ring, couldn't talk on the mic that well and slightly boring in general with a generic gimmick. 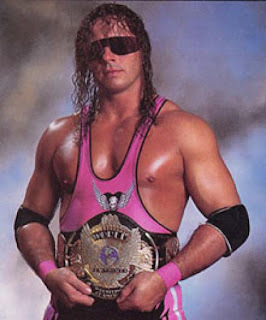 To Vince McMahon, this spelled money over a genuinely over and popular Bret Hart. Sound familiar? Of course it does. Vince didn't see the potential in Bret at the time to carry the company and decided to go with Luger instead. This proved to be a bad idea, but Vince likes to stick with his bad ideas as evidenced present day with Roman Reigns. So, this Luger experiment was failing, Bret was stagnant with Lawler and Wrestlemania 10 was right around the corner. 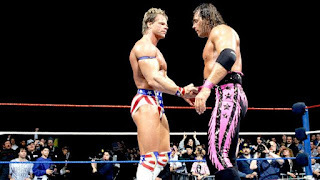 The 1994 Royal Rumble would be controversial as Luger and Bret would be co-winners of the match and at the time, a triple threat wasn't really possible, so Luger and Bret got two separate title matches and feuds for Mania all surrounded by the WWF Title itself. Luger took on Yokozuna earlier in the evening and didn't win at Wrestlemania 10, but Bret ended up losing in a separate match against Owen Hart to open the show. 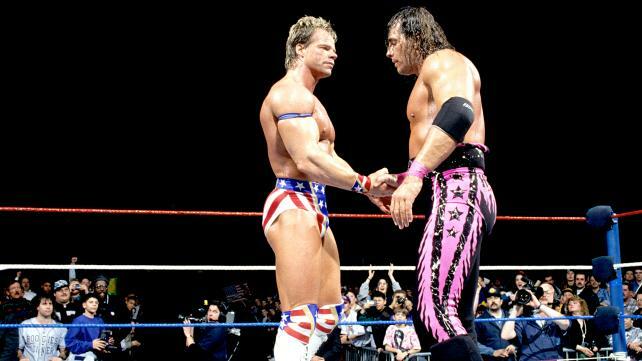 Two feuds for Bret to go into Wrestlemania, one against his brother, and a main event match against Yokozuna to gain revenge for losing the year prior. Essentially, Vince had no choice but to give Bret the top spot as Luger failed and Bret was still the most popular guy in the company. Bret would win the title from Yokozuna and the entire company would celebrate his victory. It was a long road to the WWF Title, a long road to become the no. 1 guy in the company with a useless roadblock of a feud with Lawler and a long road to be crowned the GUY. Wrestlemania 10 is the crowning achievement in Bret Hart's career in so many ways. He deserved every bit of it.